My research is concerned with modelling and analysis methods for complex systems, such as those arising in computer networks, electronic devices and biological organisms. The analysis methods that I investigate include simulation and formal verification, with particular emphasis on quantitative verification of probabilistic systems. My work spans the whole spectrum, from theory, through algorithms to software implementation and applications. I led the development of the PRISM model checker, the leading software tool in the area and widely used for research and teaching. Applications of probabilistic model checking have spanned communication and security protocols, nanotechnology designs, power management, game theory, planning and systems biology, with genuine flaws found and corrected in real-world protocols. 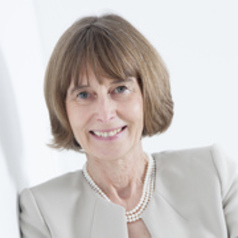 Kwiatkowska gave the Milner Lecture in 2012 in recognition of "excellent and original theoretical work which has a perceived significance for practical computing" and was invited to give keynotes at the LICS 2003, ESEC/FSE 2007, ETAPS/FASE 2011 and ATVA 2013 conferences.